Who’s the Best Nerdy Character on TV? Bazinga! With the massive success of CBS’ The Big Bang Theory, TV has reached a kind of nerd renaissance. From the video game-loving Penelope Garcia on Criminal Minds to Dwight Schrute on The Office, nerds are everywhere. We’ve come a long way from the suspender-wearing Steve Urkel (Family Matters) of yesterday, but what about you? Do you like the guys from Freaks and Geeks, Willow (Buffy the Vampire Slayer), Marshall (Alias), Minkus (Boy Meets World), Carlton (The Fresh Prince of Bel-Air), Screech (Saved by the Bell), the Nerd Herd (Chuck), Kenneth (30 Rock), Barney Fife (The Andy Griffith Show), Abed (Community), Abby (NCIS), Chloe (24), Burt (Sesame Street), Walter (Fringe), Lisa (The Simpsons), or Hiro (Heroes)? What do you think? Who is the best nerdy character on television? Tell us your thoughts and opinions in the comments section below. The O’Reilly Factor: Should Bill O’Reilly Have Been Fired from Fox News? New Girl: Season Seven or Cancel? Should Season Six End the FOX Sitcom? Which New Dramas Will You Watch This Fall? Which New Comedies Will You Watch This Fall? Who’s the Sexiest Female Medical Professional on TV? Which TV Show Character Has the Best Sense of Style? Which Character or Actor’s Departure Had the Biggest Impact on a TV Series? Which TV Character Has the Best Home? 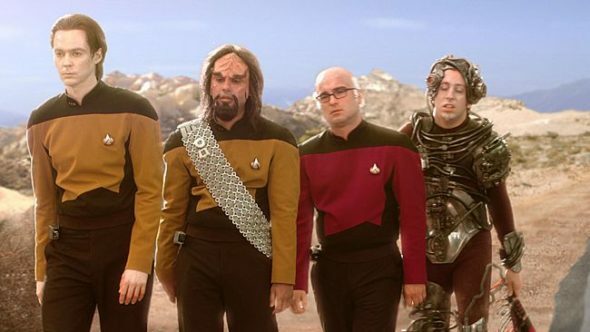 Who’s Your Favorite Star Trek Character? What TV Show Prop Would You Like to Own? Who’s the Sexiest Male Cop or Detective on TV? Sheldon Cooper in the Big Bang Theory. Jonah, Gary, or Richard from Veep. If based on the last episode – Richard. Hard to beat Dan Rydell and Casey McCall (Sports Night). It’s hard to beat Steve Urkel for a nerdy character.